The following therapists have been trained by myself and I can highly recommend them. Michael - Instructor and Examiner for the International Register of Massage Therapists. 20 years hands-on practical experience, from relaxing massages to general aches and pains. Treatment of sports injuries and severe back problems. Covering a vast amount of therapeutic courses, from Basis Introductory Courses through to Full Diploma Massage Courses, (including Sports Injuries and Remedial Back Therapy). For further information please see massage courses. ﻿HULL ﻿ The Therapy Room. Feeling tired, run down and overworked or need help to recover from too much exercise. This invigorating, yet relaxing therapeutic massage uses various techniques to help ease tensions from everyday aches and pains and overexerted muscles. Kay is fully qualified in Swedish Holistic Massage and Indian Head Massage. To contact please email shorelinetherapy@mail.com or please text 07905 845142. Kay's Holistic approach to massage allows the client to be treated as a 'whole'. This means that not only will a massage treatment pamper your physical self but it will also help to rebalance body, mind and spirit. A Swedish body massage is the perfect way for anyone who is overly worked and stressed out to relax their body and mind. During this massage I will use several techniques on the muscles, ligaments, nerves, and soft tissues all over your body. Help to relieve depression and anxiety, Increases flexibility and subtleness of the skin. Pain relief from aches and muscle pain General relaxation. Gillian is a fully qualified Therapist, from a professional background of health and beauty. Her unique and confident approach comes from many years of combining clients individual needs of looking and feeling good; to total relaxation. Swedish massage has many achievable results, including relief from stress - tension and everyday aches and pains. Relief from depression, anxiety and rebalancing the mind. Rejuvination of the skin cells and providing a detox for the overall body. 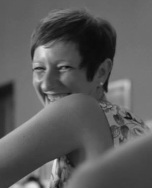 Tina is a Fully Qualified and Fully Insured professional therapist. stimulates the nervous system, relieves stress and tension in aching muscles. Don't just sit at home in pain. Mike is a massage practitioner qualified in holistic Swedish Massage with the International Register of Massage Therapists with experience of working with male and female clients including athletes, busy executives, young mothers, manual workers, keen gardeners and many more. Every client is unique and Mike's knowledge and friendly, sympathetic style will allow you to take what you need from your massage - recovery from tight, tense muscles, relief from aches and pains caused by past injury or bad posture, or just a break from everyday stress. within the body and between the body and psyche. Keri is an experienced remedial massage therapist fully qualified in Sports Injury Massage and holistic Swedish massage. Treatments available: Injury/Therapeutic Treatment – Sports massage – Deep Tissue massage – Swedish massage – Relaxation massage. All treatments are unique and offer relief from injuries, general aches and pains or to just unwind and relax from every day stresses. Anna Nield - Fully qualified and insured Holistic Massage & Beauty Treatment Therapist. I offer a service in a very relaxing treatment room in Staplehurst ( also mobile service for Ladies Only ).We owe it to ourselves to stand back every now and then and indulge in a bit of pampering. I offer an Holistic range of treatments including a Full Body Swedish Massage, Back Massage, Luxury Facials. stress in our everyday lives .